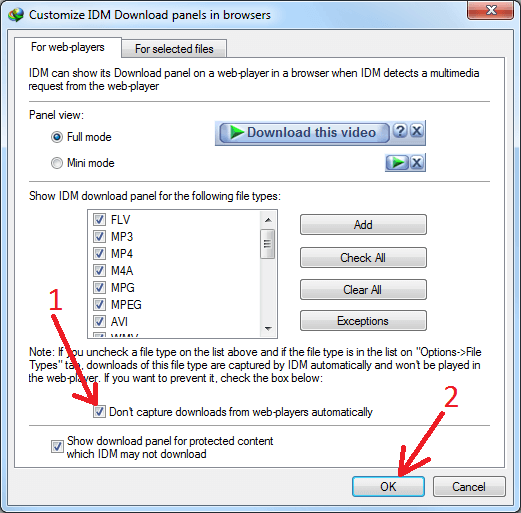 IDM starts downloading video automatically when I start playing it in a browser. How to avoid this? 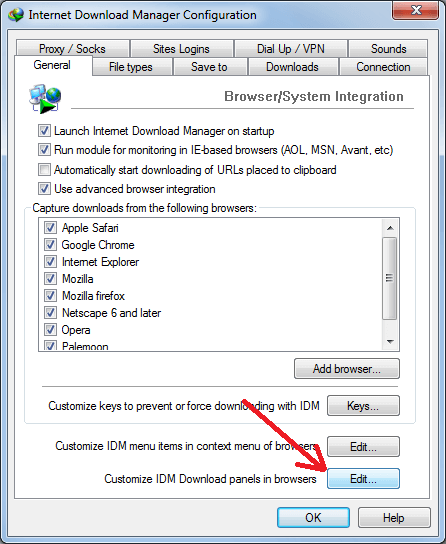 You need to open "Options->General" IDM dialog and press "Edit" near "Customize IDM download panels in browsers". Then enable "Don't start downloading from web-players automatically" option (arrow 1 on the image) and press "OK" (arrow 2 on the image).